Melvin Beederman is a superhero. 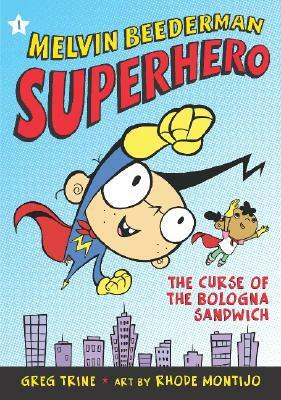 The first book in the Melvin Beederman series is The Curse of the Bologna Sandwich. Melvin graduated from the Superhero Academy at the top of his class. He beat out Superhero Carl who is stronger than him because Melvin uses his brain. “Your brain is your greatest weapon,” Headmaster Spinner tells him. That’s also in the Superhero’s Code. The world in the Melvin Beederman book is the same as ours. Superhero Carl goes to the Fiji Islands while Melvin goes to Los Angeles. But even though the author doesn’t say so, I can infer that in the book superheroes are considered normal. People just accept that there is such a thing. First, there is a superhero academy that recruits children who then are allowed to attend. When Melvin has to fly 3,000 miles to Los Angeles, he flies next to a jet window and asks the pilot if he can catch a ride. Instead of being like, “Ah! There’s a little dude flying outside the plane!” he calmly asks, “Are you the new superhero?” and then says, “Have a seat on the wing. We’ll be there in a jiffy.” Flying superheroes must be something normal to him. When Melvin stops his first crime by picking up a car and shaking the bad guys and the stolen money out of the window, people celebrate what he’s done. They don’t freak out. Melvin says he is the new superhero. New means that there must have been an old one sometime. Then a man asks, “Los Angeles has a superhero?” and another says, “We haven’t had a superhero since . . .” That shows that people know about and accept superheroes as normal. Finally, word spreads quickly in the media. Melvin was on TV and in the newspapers. Headlines say “There’s a superhero in town. Welcome!” They don’t say, “Tiny kid picks up huge car! That’s impossible!” Everyone is glad that he’s in town and they aren’t amazed at what he does. They must know what superheroes do and aren’t surprised to see it happen. They’re happy to see it. The Melvin Beederman series currently has eight books. Other titles in the series include The Revenge of the McNasty Brothers, The Grateful Fred, and Terror in Tights. The books will serve as a great introduction to superheros for early chapter book readers. Melvin can fly, has super strength, and x-ray vision. (Although the x-ray vision makes him rather uncomfortable. He sees too much underwear.) Melvin also has a weakness. His kryptonite is bologna. 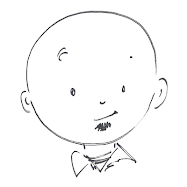 Put the Melvin Beederman books in your young readers' hands. Let them exercise their own superpower: reading.